A $26,449 grant from the E.K. Sloane Fund of the Hampton Roads Community Foundation is helping Randolph purchase two new pianos for its music department. 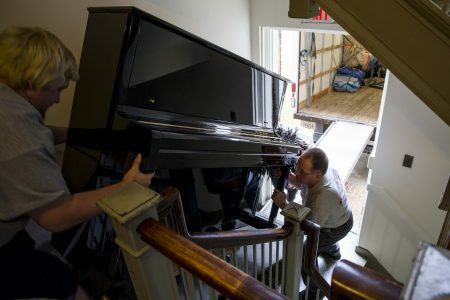 The upright, Steinway-designed Boston pianos were delivered to practice rooms in Presser Hall this morning. They join a third Boston upright procured last year through a similar grant from the Sloane Fund. 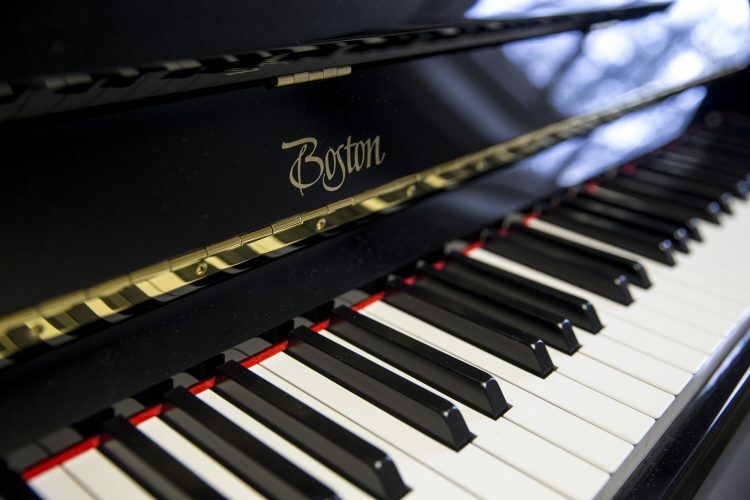 Music professor Emily Yap Chua said the new pianos will provide students with additional professional-level instruments for practice and rehearsal. “The music department is grateful for these grants from the Sloane Fund, which has provided past assistance to the College for purchase and repair of our pianos,” Chua said. Randolph is donating the pianos which are being replaced to R.S. Payne Elementary School. Randolph’s piano technician, T.J. Matthews, helped coordinate the donation with William Claytor, director of the Strings Program at R.S. Payne. In addition to the Boston uprights, Randolph received another Steinway console upright from a private donor in December. The new pianos are bringing Randolph closer to being designated as an All-Steinway School. The Hampton Roads Community Foundation is southeastern Virginia’s largest grant and scholarship provider. Since its founding in 1950, the regional community foundation and its donors have provided more than $230 million in grants and scholarships to improve life in southeastern Virginia. For more information, visit www.hamptonroadscf.org.